Sorry for a late response, but there was a horror in my job during last two weeks. Today before I used KVRT few events happened during standard everyday scannings by F-Secure and MB. Nexo (old HR & payroll software) installer and an old Gimp installer have been treated by F-Secure as threat and removed. Few seconds later the similar procedure was done by MB. Moreover I found out that F-secure blocked one uknown website many times at the beginning of the month. I don't know if it has anything to do with my notification problem but I decided to inform you. Please, find the screens below. 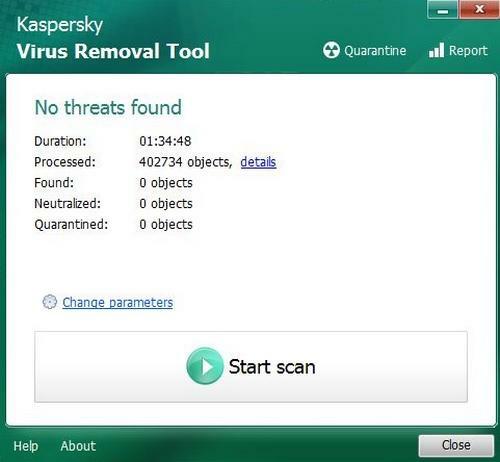 After that I used KVRT and the result is: no threat found. By the way, during scanning the computer by Kaspersky tool I saw any "Opera\stable" files but I couldn't to see the whole path. Maybe they are still somwewhere on my computer but I have no clue where to find them. Maybe it was visible in the FRST logs or maybe the remnants of Opera are still in the system. But I removed the browser properly I guess. MB notifications due to Toya website still appear but not often and of course the web is still being blocked by MB. Maybe I should just exclude the website from scanning and blocking and problem will be resolved. What you think?.. Anyway I will have to do that in this weekend, because I need to pay my bill. I get the bills for internet to my account on toya.net.pl (sorry, I'm not going to pay the interest for late payment). The domain toya.net.pl is currently blocked due to a Trojan. I'm working with our internal team to take another look at this as we should not block the entire domain. For now, yes, please ignore if you can or add it as an exclusion until we get this resolved. Yes, the computer had some threats to remove but the initial block is not due to the onboard infection stuff. Hopefully, we can get this resolved soon. Please run Malwarebytes and check for updates. Then let me know if you're still getting this block alert. The block should be removed now. The update's working. I removed the exclusion and there are no notifications and the access to Toya web is not being blocked.